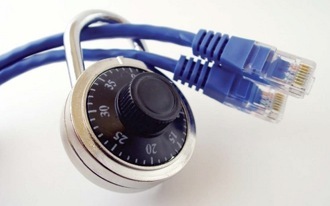 Safety is one of the biggest concerns when it comes to the internet. You expect a certain level of safety when you visit various websites so, when it comes to setting up your own, how do you do this? Fortunately, the answer is simpler than it may first appear. To help you get started, this five step guide will cover the most important areas in maintaining security online. Don’t settle for the cheapest option. There is a big market for firewalls and other programs but there is no clear need to go for the lowest bidder. Find a company that offers regular updates and provides a strong investment. If you’re not the easiest website to access, criminals will likely look to infiltrate other sites. While it’s not exactly a safety measure, it always helps to have a back-up, such as a partitioned server or backup files somewhere remote. If someone wants to cover their tracks, they might end up deleting valuable information along the way, putting you in an even worse position if you haven’t got a back-up option in reserve. Nothing showcases security like a hard earned certificate. It also lets you know your security is up to an acceptable standard. Open SSL, for instance, can be certified at various levels. Of course, you should aim for a high-end encryption, such as 256-bit, to get the best results. If you’re trying to run a business, this also authenticates your website, which will [tp lang=”en” only=”y”]help reassure customers[/tp][tp not_in=”en”]help reassure customers[/tp]. One of the biggest mistakes you can make is assuming you don’t need to update security. Thieves find new ways to get around old measures, so new approaches are always needed. This is something that is becoming more and more noticed – a recent report commissioned by the Department of Business, Innovation and Skills found the number of companies with breaches, as well as the average number of incidents each year has gone down since 2013. If you don’t update your own security wall, you stand to be one of the few being targeted. Likewise, don’t forget to test your software, scripts and program. If there is a flaw, would you rather let someone else find out? Regular testing will help you find flaws before someone else does, giving you time to react. Backing up your site is crucial. I back up very time I write a new post. I back up as well. But not with every new post. I do it on a automatic time schedule. Next post: Is There a RAT in Your Mac? How to Identify and Fix the Problem!